As claimed, another sideline of the Lyczkowskis of Słucak District. But indicated that they were bearers of Dolenga Coat of Arms. Stanislau, son of Jury, with sons Maciej and Jazep had Ašmiana District residence. 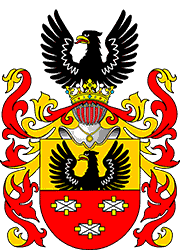 They had determination of Vilnia NDA dated back to July 29, 1811 by which the clan was recognized as a szlachta. Later they failed to prove their nobility and consequently were downgraded to "odnodvortsy" (a class of free peasants with a right of realty). The Lyczkowskis' Files. The National Historical Archives of Belarus Republic & The Lithuanian State Historical Archives. Adam Boniecki & Artur Reiski. Herbarz Polski. had nobility registration (vyvod) in Belarusian NDA (Noble Deputy Assembly) dated back to August 09, 1799. Confirmed by the Order of Temporary Commission of the Russian Senate Herald Department Order #3514 dated back to September 30,1842. Written to the Part 6 of	NGA (read more). Before that, the representatives of this clan had gotten the descend decrees of Orša (or Vorša), Rahačoŭ District Courts in Mahiloŭ Namestnichestvo [region ruled by governor-general] and Mahiloŭ Major Court dated back to November 09,1773 , 1775 and January 21,1777, correspondingly. But all court decrees accepted Sulima Coat of Arms as a clan one. It's most likely these Lyczkowskis lived in Jency / Jancy at the Voranaŭščyna village neighbourhoods of Rahačoŭ District in 1864. The Lyczkowskis' Files. The National Historical Archives of Belarus Republic. 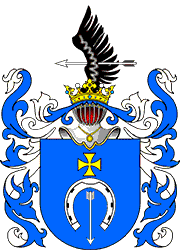 is a sideline of the Lyczkowskis of Viciebsk Governorate. Lived in the estate Lachi of Maškany volost. They had vyvod in Mahiloŭ dated back to 1835. They took on lease the estate of Servieč in 1667 and owned of the estate Zakreŭščyna in 1713 in Ašmiana paviet of Vilnia Voivodeship. The Files of Viciebsk & Mahiloŭ NDAs. The National Historical Archives of Belarus Republic. 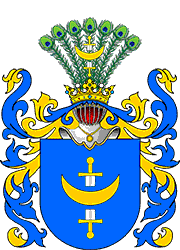 By the determination of Mahiloŭ NDA dated back to June 15, 1803 they were recognized as a szlachta of Sulima clan. Were written to the Part 1 of the Noble Lineage Book (NLB) (read more). The information of vyvod confirmation by Russian Senate has not discovered. The files of Mahilou NDA. The National Historical Archives of Belarus Republic. tried and proved their nobility together. They had vyvod in Miensk NDA (Noble Deputy Assembly) dated back to August 27,1802 and were written to the Part 1 of NLB. It was not confirmed by the Senate Herald Department Order #1522 dated back to July 10,1816. Descended from Ihnat Gabryel (Ihumien line) and Francisak (Barysaŭ line), the son of łoŭčy (see dictionary) of Orša District. In the late 18th - early 19th century the Lyczkowskis of Ihumien District lived in the village of Jačonki neighbourhood and in the estate of Kojdanava in Miensk District, on the lands of young prince Dominik Radziwil. The Lyczkowskis of Kojdanava estate were announced freemen by the Radziwils' Commission of Inquiry in 1812. 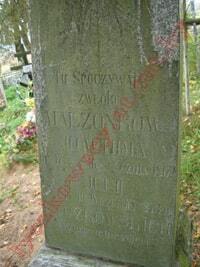 In February 22, 1833 several Lyczkowskis of Ihumien line were added to genealogy by Miensk NDA decision. The information of confirmation by Russian Senate has not discovered. 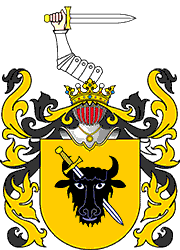 The Lyczkowskis of Barysaŭ District ceased to be subjects under prince Radziwil's rule in August 27,1808. By resolutions of Barysaŭ District Court (July 17, 1818) and Miensk Major Court (June 18, 1819) they were announced freemen. Some families of these Lyczkowskis failed to free themselves, most likely because thier birth records were lost in fire, and remained under the Radziwils' rule. In the late 18th - early 19th century they resided at the village of Jeśmony neighbourhoods, on the lands of prince Michal Radziwil. The Ihumien-Barysaŭ family of the Lyczkowskis owned until 1740 the estate of Dźviniačy in Miensk Voivodeship. In 1879 he graduated from the Vilnia Teachers Institute, honored with a silver medal. In early 20th century worked as a teacher of physics & mathematics at Niaśviž Teachers seminary, the form master of Jakub Kolas (the classic of Belarusian literature), Statskiy Sovetnik (State Councellor), the deputy of Słucak Uyezd Duma (District Assembly) (1907). Двадцатипятилетие Виленского учительского института. 1875-1900. Краткая историческая записка. Вильна, 1900. Minsk Guberniya Address-Calendars and Commemorative Books (for different yrs). 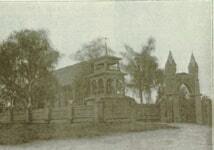 Photo, 1902: Fund ЛМК КП-7689/КФ-1156, Literary-Memorial Museum of Jakub Kołas, Miensk, Belarus. had vyvod in Miensk NDA dated back to January 31, 1818. It was confirmed by the Rassian Senate Herald Department Order #9158 dated back to October 27,1860. Written to the Part 6 of NLB. They did it separately from the Lyczkowskis resided in Ihumien & Barysaŭ regions. It's most likely they were belonged to different clans. Indication of Słucak region as the place of origin of these Lyczkowskis is conventional, as the representatives of this family in late 18th - early 19th century lived in the neighbourhood of Lubča village in Navahradak District. 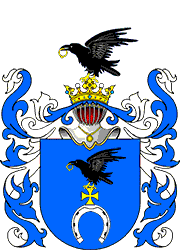 According to materials of the Commission of Inquiry for the Radziwils' dominion, these Lyczkowskis were known in Lubča County since 1680 and, at least in 1805, beared the Ryś (Lynx) Coat of Arms (reliable image is lost). But made vyvod under the Sulima Shield. In accordance with Patent of King Stanislaw August dated back to July 10, 1792 Michal Lyczkowski got "navahradak's paručnik (a modern first lieutenant rank equivalent) rank of the People Cavalry of the Crown Army with standard". In the middle of the 17th century representatives of this Lyczkowski family owned the estates of Zurmože / Žurmože and Vielkaŭščyna, and the estate of Vierbniki (is questionable) until 1790. All in Miensk Voivodeship (exact location remains unknown; presumably, somewhere around Samachvałavičy). 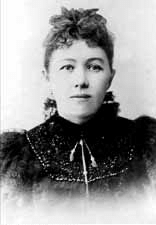 Mother of Ivan and Anton Łuckievič - statesmen and public figures of Belarusian People's Republik. 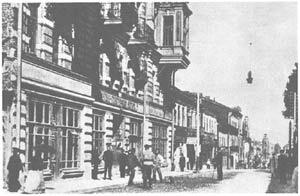 In the early 20th century the family lived in Miensk at their own house on Chryščenskaja Str., 27. The farm of Rakucioŭščyna), which was in Vialejka District (Vilnia Governorate), belonged (in 1911) to her brother Vacłaŭ *). There is the brunch of Maksim Bahdanovič Literature Museum today. *) Vacłaŭ Zachar Łyčkoŭski (1851-1925). In accordance with V. Łastoŭski, he was a god-father of A. Łuckievič. В. Ластоўскі "Mае ўспаміны аб М. Багдановічу". They had vyvod in Volhynia NDA in 1828. It was confirmed by the Rassian Senate Herald Department Order #5199 dated back to April 30, 1835. Written to the Part 6 of NLB. A sideline of the Lyczkowskis of Słucak District of Miensk Governorate. 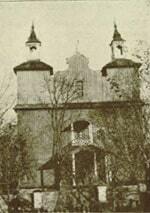 Lived in Rovno (Rivne) District of Volhynia Governorate. Maciej, Jan and Vincent, the sons of Michał, & others, confirmed their nobility in Empire and were written to noble book of Volhynia Governorate in 1835. Seweryn H. Uruski. Rodzina. Herbarz szlachty polskiej. Jakob LYCZKOWSKI of Naborowo, brother of ksiadz (Roman Catholic priest - J.L.) Pawel, starosta (see dictionary) of Zakroczym (1478-1480), čašnik (see dictionary) of Zakroczym (1494). Married to Katarzyna Kinicki (1480). In 1479 bought a part of Dłutów from Pawel, Adam and Sassin Dlutowski. Made a testament on February 20, 1494, that his widow Katarzyna attached to the official document made by the	church of Płock in 1509. In that testament he appointed his elder brother, Catholic priest archdeacon Pawel, as executor of his will, increased his donations to the church in Kamienica, made other charitable arrangements, confirmed oprawa *) for his wife, and left dowry of 305 dukats to his daughters left on Januszewo, 20 florins with Jan Lasocki and 30 florins with Irzyk of Krempica, to sons Pawel, the eldest, and Jan left Mochty and some of armory staff and horses, to his wife left Dłutów, Naborowo, Naborówiec and part of Zdunów with all thier personalty and realty to make a living for herself and to keep younger sons, including student Mikolaj, and to finance their education. He also mentioned his colleagues and friends. *) Husband's property allowence to a wife, equal to her doubled dowry. Written "de Łyczki" ("of Lyczki"), in Ciechanów region. Jakob married to Katarzyna Kinicki in 1480. Walenty, son of Jan, in 1557. Marcin bought estate Demeszkowce in 1604. Stanislaw, son of Mark, in 1606. Maciej married to Zofia Zakrzewski, and Stanislaw - to Jadwiga Mogilnicki, in 1651. Wojciech had the daughter Magdalena in 1666. Chief of Miensk postal-telegraph office. Statskiy Sovetnik (State Councellor), decorated with order of St. Vladimir 4th level, that gave him and his son Fiodar (Theodor) a right to obtain the Russian rank of nobility in the Miensk NDA based on Part 3 of NLB (read more). Confirmed by the Russian Senate Heraldry Department Order #6803 dated back to November 25, 1892. It's still possible that they belonged to one of "non-confirmed" branch of the Sulima clan.